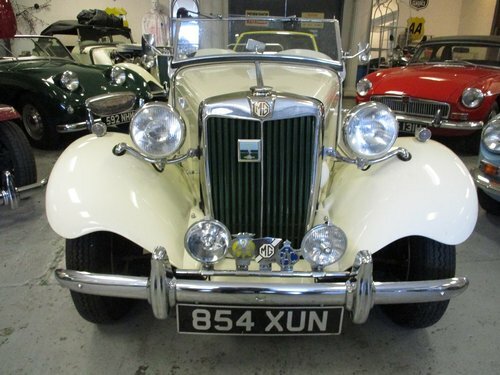 A 1953 MG TD in Old English White. 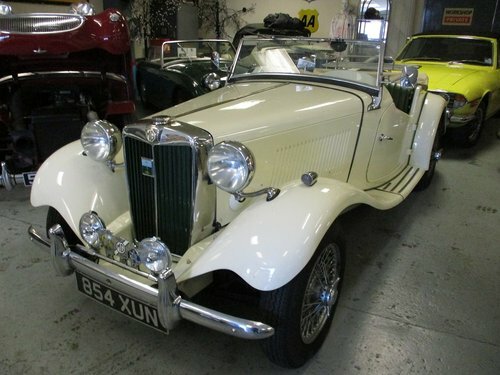 Originally exported for the USA market it was repatriated to the UK in 2009 and converted to right hand drive. 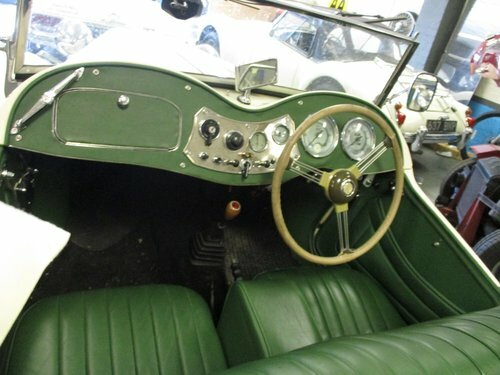 Lovingly maintained by its previous owner who installed a Ford 5 speed gearbox, spotlights and USB ports to charge your mobile or plug in a dash-cam. 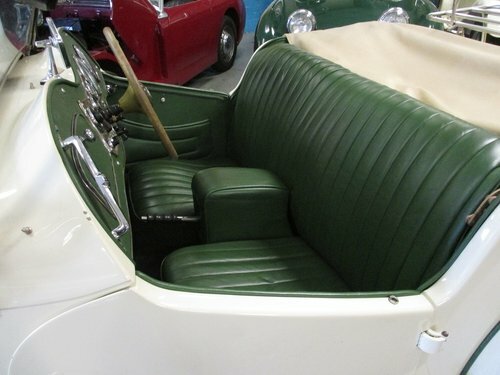 The green leather interior and carpets are in excellent condition as are the beige canvas hood and tonneau. 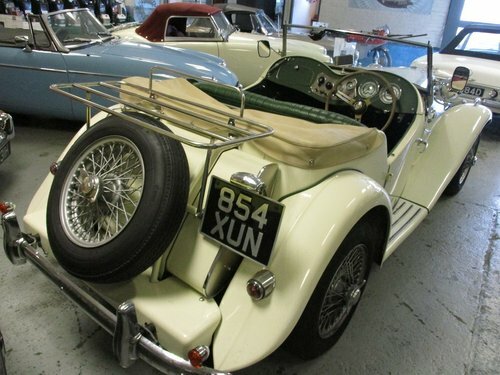 The exterior bodywork is lovely, with spoke wheels, new tyres and a luggage rack. 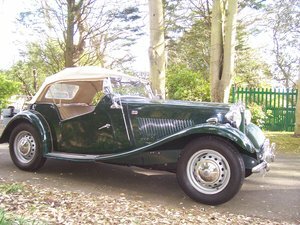 Included with this wonderful car are an original MG owners handbook, a 1953 AA handbook, an MG maintenance manual and a nice wool driving blanket - after all, who wants to drive an MG with the hood up even in the winter?! 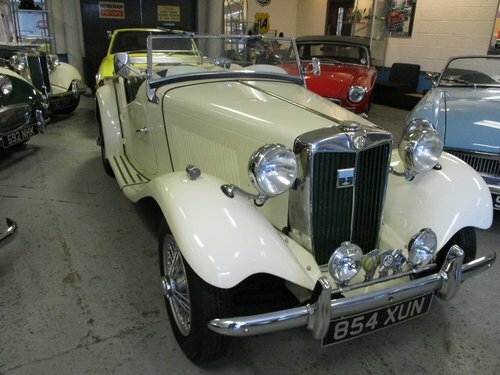 This must-see car is in overall great condition inside and out.  Vehicle is priced to sell.